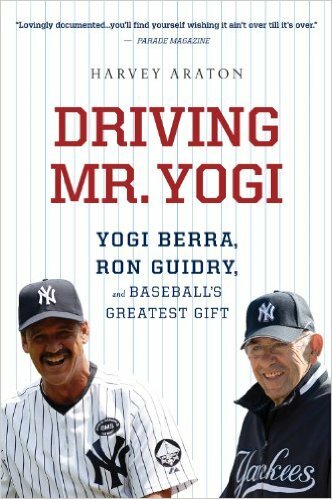 Is Driving Mr. Yogi a good book for everyone? No, probably not. I do believe you need some interest in baseball and/or the Yankees to get sucked into this book, but if you fall into either or both of those categories, then you’re in for a treat. Personally, while I do love baseball – and more specifically the Chicago Cubs – I am not a huge Yankees fan. I remember some comedian or another comparing rooting for the Yankees to going to Vegas and rooting for the house. I think that’s pretty apt, but fan or not, there is no denying the immense and rich history of the New York Yankees. This book is extremely well written and does a fantastic job balancing the various topics covered. I’ve read other books that were so full of stats they put me to sleep, or books that only covered the personalities of various sports legends without really getting into the nitty gritty of the game. Mr. Araton did neither, and instead wrote a well researched book peppered with fascinating behind the scenes baseball tidbits, and a generous, but appropriate, helping of stats. I was obviously interested in the book, since I read it and all, but I wasn’t expecting to be quite so swept up in the stories or to be treated to such an intimate look at a couple of endearing, tough, and warm-hearted baseball legends. This is highly recommended – for the appropriate audience. This entry was posted in baseball, book reviews, non-fiction and tagged araton, baseball, book review, non-fiction. Bookmark the permalink.